We have had a lot of dev announcements recently... we have been busy eh? I have another one coming at you tonight! 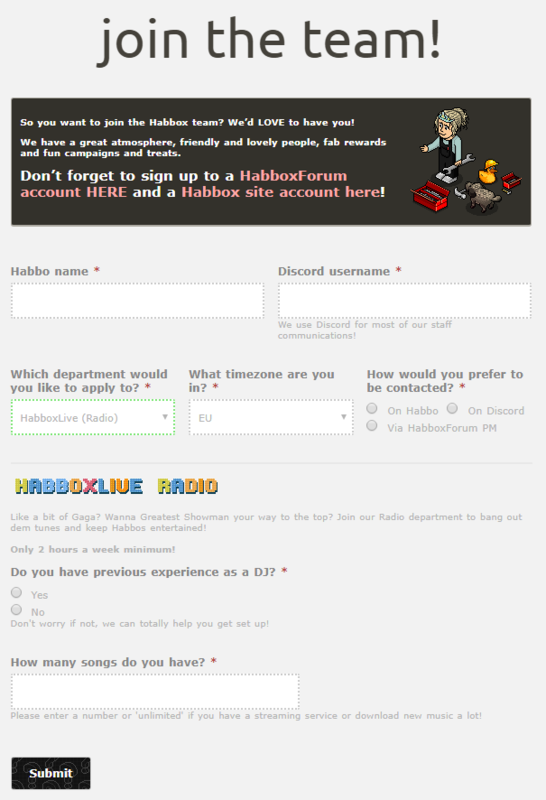 We have a BRAND NEW application form for all of you lovely potential worker bees to check out. Instead of the one-size-fits-all approach we have had recently, our new application form has customised and specific questions for each department which should make things a lot easier! We retire the old application form, the first one to be integrated into the site, after 3 wonderful years and 782 applications. You did us well! !